We, ladies, change our mood as fast, as a chameleon changes its color. I think this idea inspired the lacquers’ manufacturer to create a chameleon gel nail polish, which will be able to transform just like this funny creature. If you have got bored with the ordinary nail polishes, then you must try the Thermal Chameleon lacquers this winter! If you if you want to know more about this type of gel nail polishes, welcome on the board! In this article I will answer all your questions and provide you with the useful tips. What Is Thermal Chameleon Gel Nail Polish? Thermal chameleon gel nail polish has almost the same formula as other gel do. The major difference is in the components, which have high sensitivity to the changes in temperature. When you apply this gel nail polish on your nail, it starts to react to the temperature of your body and of the environment. So, if you make a snowball outside, then your nails will have one color, but when you will take a cup of hot tea at home – magic will happen! You will see an amazing color transformation. How To Apply Thermal Chameleon Gel Nail Polish? There is no almost any difference between application of the regular gel nail polish and thermal chameleon. Apply the base coat. Dry it with the help of UV/LED lamp. Apply the Thermal Chameleon gel nail polish. You will need from 1 to 3 layers, depending on the product you use. Please, review the instructions on the bottle thoroughly! Sometimes number of coats has direct impact on the quality of the thermal effect. And also, some dark shades should be used with the dark (usually black) base only. Dry the coat with the help of UV/LED lamp. Apply a glossy or matte top coat, if you want to wear your manicure for a longer period of time. Dry it with the help of UV/LED lamp. Thermal lacquer looks better on longer nails. If your nails are long enough, then tips of the nails will be “colder” than your fingers, and, consequently, will have another color Thus, you will have opportunity to enjoy an ombre effect of manicure. Winter is perfect time to test the lacquer: your manicure will be different in color at home and outside. If you have very short nails, then winter is the only season, when it has a sense to use thermal nail polishes. Use high quality base and top. Don’t forget that for perfect and long-lasting manicure, you need to use high quality beauty products. If you are looking for the gel nail polish kit, then you can read my review about the best options here. If top coat is too thick, then color-changing process take much more time. If you want to see fast modification of your mani, then you should apply the top coat carefully or don’t apply it at all. Most of the thermal chameleon gel nail polishes are matte, not glossy. Keep it in mind while choosing the gel nail polish, so you will not be disappointed with your purchase. There is a great variety of the thermal chameleon polishes: two-shades or three-shades of one color; 2 or 3 totally different colors; with or without the sparkling/shining/glittering effect. Which Brand To Choose And Where To Buy It? 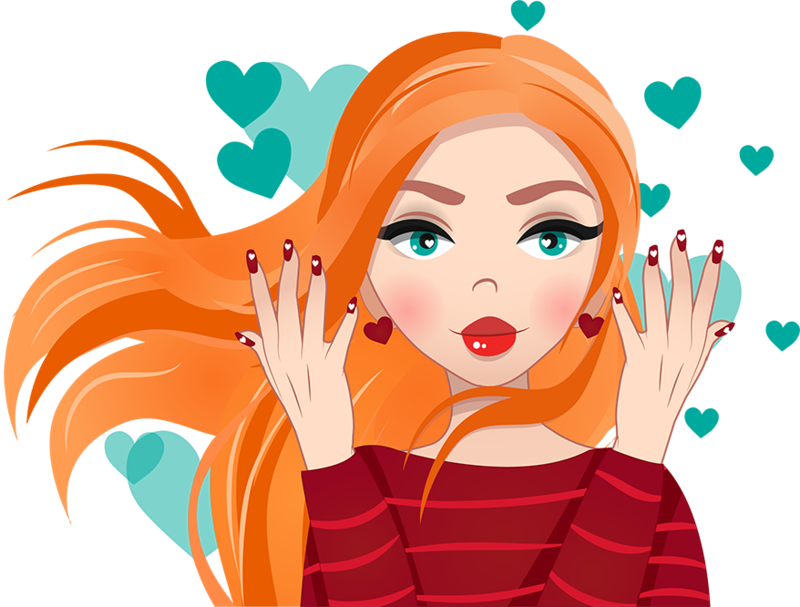 If you keep eyes on the best gel nail polish brands updates, than you know that such popular companies as OPI, Shellac, Sally Hansen and Dior do not offer us the thermal gels yet. But it doesn’t mean that there are no good chameleon gel nail polishes in the market. I recommend you to buy lacquers from big Amazon sellers with good reputation. It’s a good idea because online shopping is always less expensive. B.M.C. is one of the well-known brands, which can pamper us with the thermal color changing nail polishes. Cancun collection offers bright and sumptuous shades, which you will like. The only thing you should know before you buy it; it has a rather thick texture. It seems that temperature color changing nail polishes by Elite99 are the most popular at Amazon, despite of the great amount of both: positive and negative reviews. Thousands of girls around the world state that these gel nail polishes don’t chip or peel for 2 weeks. Personally, I am crazy about Elite99 fantastic palette! Just look on their brand site to see how many different shade combinations with the sparkles they have. If you like gel nail polishes, which can help you to get look-like-professional manicure at home, then hurry up to buy the lacquers of HNM brand. The bottle is very small (8 ml), so it seems to be more expensive option, but this chameleon lacquer is the best one to get WOW effect. By the way, HNM gel nail polishes can be a cool gift idea. If you are looking for the Temperature Color Changing Nail Gel Polsih, which is worth every penny you pay, then don’t walk away of Ukiyo products. I’m almost sure that this brand name is absolutely new for you, but you can be sure that you will not be disappointed. You will enjoy the super smooth application process and the most adorable glossy shine. If you don’t want to spend much on the hand care, I can offer you to look at Belen color changing nail polishes. They are cheapest in the market and they have the smallest bottles (only 7 ml). The size is enough for you to try a new kind of the gel manicure and find out whether you like thermal chameleon effect and want to use it in the future. For such a little money you will get a stunning color plus a long-lasting effect. For those, who adore the glittery shine, I can recommend this silver and black combination (shade 9046). If you are looking for new winter manicure ideas, then you should try thermal chameleon gel nail polishes. You don’t need any specific knowledge or equipment to get the mani, which can change the color easily. I believe that it is the easiest way to get the unique nail art design, so don’t miss the opportunity to make your friends be envy about your stunning nails. Hi, I'm Nathalie, the writer behind Broke My Nail. I believe in providing real everyday people with advice that helps you have beautiful nails. 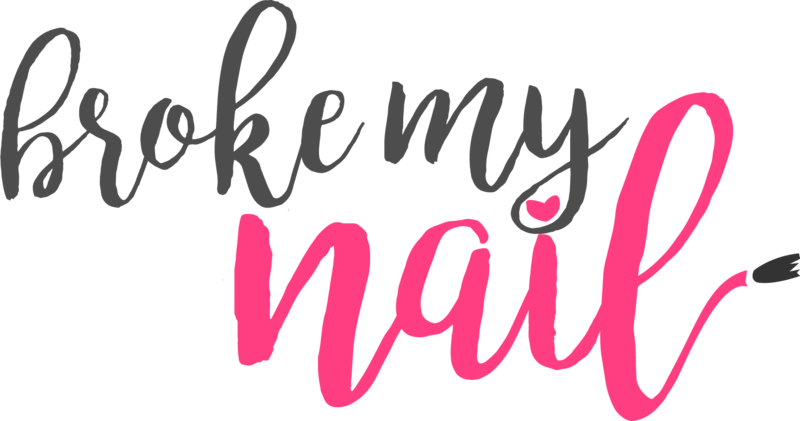 BrokeMyNail is a participant in the Amazon Services LLC Associates Program, an affiliate advertising program designed to provide a means for us to earn fees by linking to Amazon.com and affiliated sites.